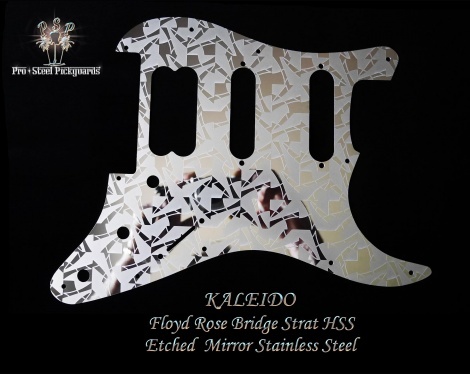 An awesome jagged design etched permanently into polished super mirror stainless steel. Gorgeous 100% non-magnetic stainless steel, corrosion free. Specifically to fit aFloyd Rose Tremolo Bridge, see measurements below. Squier Strats - Will fit current Squiers. If older than '86 there maybe 1 or 2 screw holes a little off centre. That's usually no problem, the screws supplied will easily find a hole.